Did you ever emphasis on relationship marketing for your Facebook business success? How much have you been using the power of Facebook relationship marketing key techniques? This article is for you to uncover the necessity, comparison and action to remedy your own approaches. 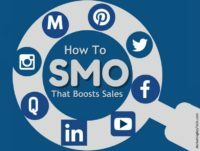 In the era of top most competitive usage of technology and techniques, relationship marketing is the biggest supplement to make sure of your overall Facebook marketing success. There is no significance to ignore this potential way to bring the major part of the strangers in a sustainable frame of marketing action to improve conversion rate in sales; since typically Facebook is an area to make relations. What is Facebook Relationship Marketing? .FB Relationship Marketing (FRM) is a personal approach to marketing that performs a purposive communication with the FB friends using various tools of Facebook developing bilateral interest between two parties. In the Facebook business marketing, there are some magnificent tools, such as personal profile messenger, community group, business page messenger, life event, business page event creation and so on. These tools could help you to build a relationship that happens more engagement, conversion, and sales. 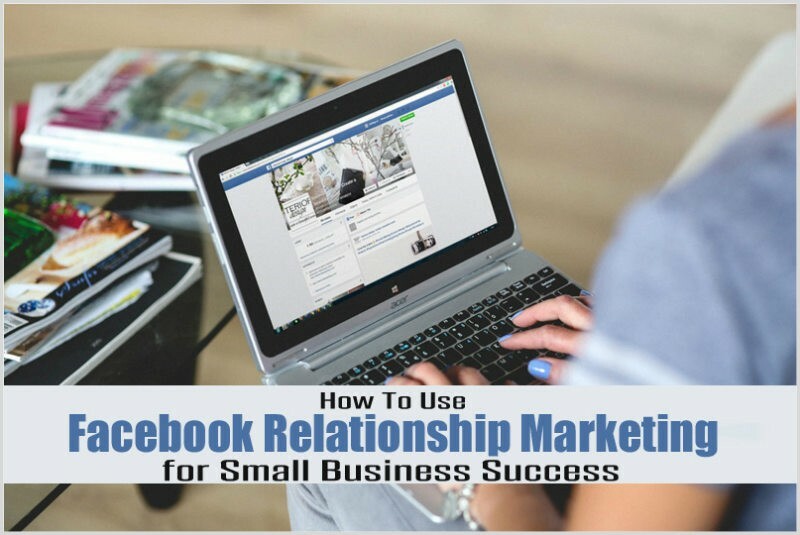 Why is a relationship goes key factor for Facebook marketing success? Level playing field for branding and sales, so on. These entire six phenomena are importantly triggering elements to bring Facebook marketing success that happens from relationship marketing. Here you’ll sure have to walk through two approaches – definitive and qualitative, for conducting Facebook relationship marketing that really works amazingly. How to take definitive approaches to filter and refine the right prospects? It is a core step to align all qualitative relationship practices according to your buyer persona. There are some executive step-by-step processes to create buyers’ persona. It is the best part of conversion optimization. It will work adequately to concentrate your whole effort for building the quality relationship more accurately and faster. Define your target people who will be your customer you look for. Target your customer base volume which supposed to be out of 1K top-level traffic whereas they will be generated from 10K Targeted loyal fans in the Facebook business page. Then, target your demographic friends on the basis of male, female, age level, marital status, family size, annual income, and so on. In terms of generating deeper relationship for the result, you’ll need to find out the audience education and what type or standard of goods they look for within their budget they avail. Approach to know the job of the prospect he conducts on, and the level he leads. It will provide inference how much capable is the prospect in the purchase. You’ll have to know the prospects daily working status around the clock. Such as what does he do before, after and during the time of his main professional job. Importantly, it is essential to know the prospect’s targeted product he seeks and what is the experience regarding the product he faced bitterly. In a word, you’ll have to uncover his striving needs he gets pain for achieving you might meet up. So, ask him his like-dislike, ideal goals and alternative pain points at his comfort level. And figure out the ways how he would like to find the solution in that purpose. It is required to know the prospect’s spirit of appreciation regarding the product he values for satisfaction. Relationship marketing refers to know the challenges they used to face and being faced to meet their requirement. And also know what channel do they use to get the products. Obviously, it is important to know your potential buyer where does he go for his problem solution – where does the search for the desired information. Whether they mine out using Google or Social media, let it be noted that where they used to find the information that meets their requirement. Prospect is all. Let your efforts go with the prospect’s exact alignment that he desires. Make sure that he will get a pretty experience must happen in the case of your offer so that he becomes a permanent customer. You’ll have to assess your product’s common disadvantages and the advantages as well. A FAQ sheet could work amazingly to focus your product’s authentic information that displays and provide clear math to the prospect to make the decision. How to build the qualitative relationship with Facebook marketing? have to transform the numerous strangers in your friend-list to be your really a sort of worthy friends. Then, you need to make a friend to be a potential customer in the business center. In this regard, you’ll have to build a “trust” first focusing product awareness and demonstrating integrity. And finally, you’ll have to provide “value” that your friends could find the “usefulness”. Generate content that delivers interest to the potential customers and relates to discussing furthermore. You’ll have to pay time and effort to create each word of the content is reasoning to the audience satisfaction. According to prospect’s persona, share your experience that delivers solution over the problem. It helps to build trust and relationship. You do show your humble approach honoring each prospect. Keep in note that each of the prospects is respectable and a precious part of the total business heart. Pay time and attention to hear out prospects words according to personal file. Let your approach of hearing like a friendly doctor to his patient. Pay your humble availability that inferences prospect to come in the discussion at his convenience time. It is regarding your existing best customers; provide special appreciation to them. If need, strategically reward them so that this impact to the other audience for engagement. It helps in relationship marketing for the result. It works. That is why deliver content that is built with whole phase worth of emotional marketing. To reach out a better message that appeals engagement, you’ll have to empower the content value with emotional intelligent. Viral marketing key techniques could help you messaging a mass audience. Using the technique, you’ll need to create 10x content, frequently scheduled share and getting a help of influential social celebs to spread the sharable content in the social Facebook. It generates awareness and trust to grow the relationship. Obviously, set your business goal that offers always great things. So, let your motto goes with a great offer confidently. It will leverage you to conduct approaches clearly that really help to grow the relationship. Facebook Relationship marketing success is located in the right set of goals. To get relationship marketing benefits, pay them enough time delivering the things they love. You’ll have to pay time for reviewing and analyzing the offer. Then, hear out the whole feedback with patience. You’ll have to ensure a note in the message that you are ready to hear out at their convenient time. In terms of creating relationship marketing on Facebook, acknowledge and wish the each of the birthdays in real-time. It is a big chance to secure a place to the audience mind that made easy to bond the relationship. You might follow a calendar to follow the dates of the audience so that you could take part each of the days without fail. It is the daily job to review and resolve the issues you got from an audience in real-time in the news feed, comment, friend request, notifications, and profile. You’ll have to like and share their important posts that grab the attention to the targeted audience. It inferences and create the chance to fasten the prospect in a fruitful relationship for Facebook marketing. You engage in their content with ‘comment’. In their content approach, you might find out their requirement and could offer your solution. Be scheduled to be replied each message in the inbox in real-time. Why? The reason is audience psychology that always being engaged to get the solution to the problem ASAP and they appreciate the earliest message best. Yes, It is best to send the reply within 15 minutes. At least 90% messaging within 15 min could help you achieve an honor badge on the Facebook business page. It generates trust and reliability that prompt the relationship. Use Facebook message marketing key techniques. Facebook messenger is a vital private tool to make a fruitful Facebook relationship marketing creating the profile and following the assessed persona. Build specialized customer care using your own closed Group. It is an easy path to keep the existing customers in real-time touch. It will leverage you to build deeper relationship solving any critical issues. There are lots of others’ groups relevant your product you deal. 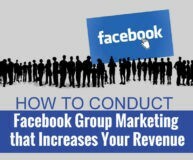 Create relationship with Facebook marketing in the niche groups. It will help you to drive the new audience to your own business circle and build relationship marketing. It is a great area to build Facebook relationship marketing using event tools. Sometimes create training or business events for relationship building. This sort of event could spread the world using other social media as well. In this space, you could easily get the genuine users who really are looking for the product you offer. In this partnership strategy, you’ll have to build a special circle of bloggers who can mutually help each other to share the content within their own circle. Which is why you need to build a strong relationship with the few specific bloggers. It works while products they deal is not the same, but the product you deal is required among the whole user circle. There are socially powerful influencers you know who have a significant number of fans due to his popularity. Using the power of social influence, they could help you promote your product in a large group of audience. It is a matter of building the relationship with the influencers to drive relevant audience from influencer’s circle. On the above content, You’ve got the ways how you’ll need to approach your key techniques for relationship marketing through building relationship simultaneously defining buyers’ persona. If you could assess an exact image of the prospect’s characteristics, then you could able to customize your more perfect relationship message on the product or services accordingly. In fact, relationship marketing in Facebook is not an overnight process to be found the hundreds of loyal friends in the sales funnel ultimately- it is a long run, but the continuous process. Let your patience drive for a successful Facebook business page marketing with an appropriate relationship. It is the best alternative to other techniques on the Facebook. The reason, it was born to build a relationship with the friends and families. What are your Facebook relationship marketing techniques that overflow these ways? You might share.